In order to use the Mapsui library, it has to be referenced. I’d recommend using NuGet, however, it is also possible to use the project directly from the Github repository. If not already done, a new project has to be created. Due to the fact, that this post is about Xamarin.Forms a project with this type is advantageous. Additionally the library supports the Xamarin Native platforms. The choice between Shared and PCL is almost irrelevant. Both options are supported. For the sake of simplicity I’ll use a Shared project. The whole project is now a Xamarin.Forms/Shared project. To reference the library you have to open the NuGet package manager and search for „Mapsui„. Right now I’m using version 1.0.7, which runs stable and reliable. When you are using a different version, please have a look at the changlog. If relevant points have changed, this guide may be not valid any more. Before version 1.0.7 this guide also won’t work. Independent of your project type you should use the latest release of Xamarin. Up to now there is no direct Xamarin.Forms support, so you have to build a custom renderer. You need a wrapper class around the Mapsui component, which can be used in XAML or within the code. The namespaces in this example are the same as in the Xamarin.Forms sample. The sample can be found at the end of this post. 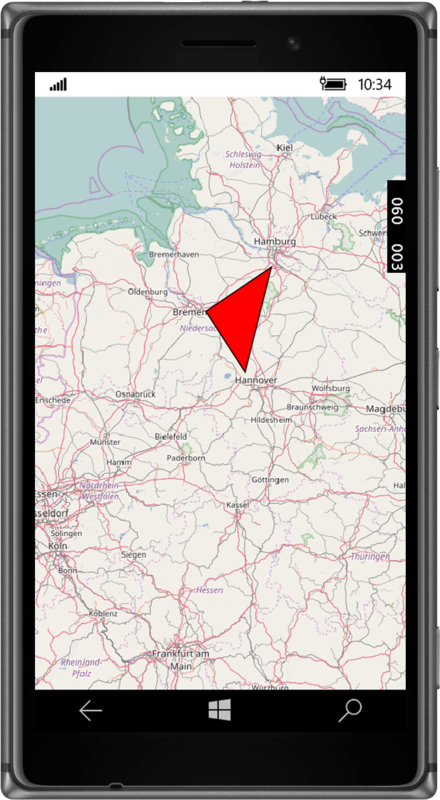 With this code we get a Xamarin.Forms compatible control, that has the Mapsui map as a property. In the next step the platform specfic renderers are implemented. The platform specific renderer is nothing more than a 1:1 mapping to the native renderer of the Mapsui library. For this we overwrite the „OnElementChanged“ method of our ViewRenderer. Further information regarding the custom renderer can be found in the official Xamarin documentation. The iOS renderer is also just a 1:1 mapping like the Android one. And the last one for UWP. Until now I haven’t tested this one extensively. Now the map itself needs to be generated. This can be accomplished in various ways. 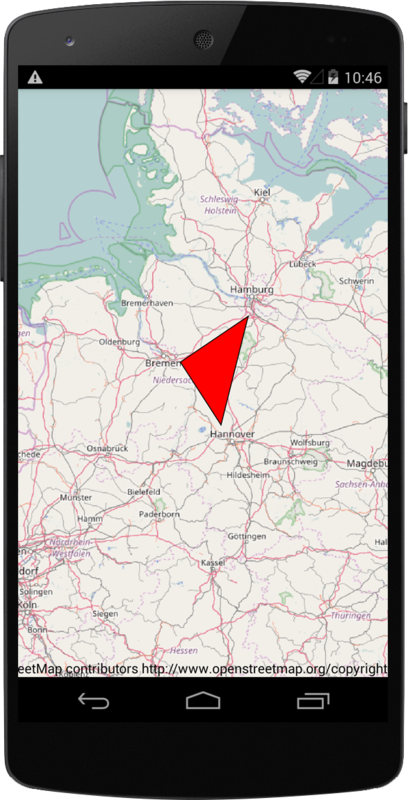 When the control is only embedded in XAML, it will be the best, if you create the data, tiles and markers within the „MapsUIView“ control. In my opinion this should be cleanest way. Alternatively it is possible to create a container in XAML and add the „MapsUIView“ control in the code behind by using its name. In this case the page of the app can execute the whole generation. The first method has advantages when the same map is used multiple times within the application. The second method has advantages when you want to create multiple but different maps at different pages within the application. The method to use is just a personal matter. However, in this post I will make use of method two. ["Type"] = "My Feature Type"
So what exactly happend? The creation of the new instance in line 15 should be obvious. However, in line 16 we already have something specific for Mapsui. The map tiles of the Mapsui map property (NativeMap) are added to the first layer. If you want to use your own map tiles, you will have to provide your own *.mbtiles database. You can find some samples in the Github repository. Additionally an „icon“-layer is created. This layer is added to the map tiles layers and the info layers. The latter ones are required, in order to react to touch events. When questions arise you can post them in the comment section. Errors with Mapsui have to be submitted as an issue in Github. Here you can find the source code of this post: Download sourcecode. You like this post and you want to support me? Share this page in social media networks, check out the amazon links or use PayPal. Every bit of support is great for websites like this.